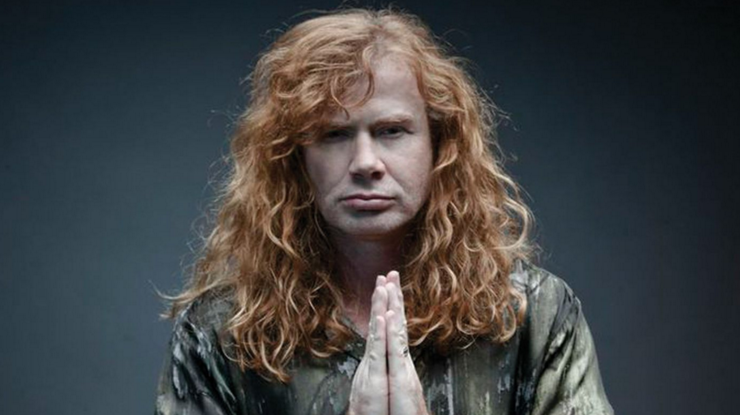 MetalRockNews: Megadeth's Dave Mustaine: "Metal people are really loving and considerate"
Megadeth's Dave Mustaine: "Metal people are really loving and considerate"
Megadeth's Dave Mustaine was recently interviewed at Carolina Rebellion festival by 99.5 The X, you can read some excerpts below. About how various obstacles in his personal life have inspired him in his art, Mustaine said: "I think it's kind of, in a weird way, an introduction for me to share my story with other people. Every time I've had something that's really weird that has been bad for me that I've overcome it, it was something where I could talk to somebody else who could be going through that same thing and needs somebody to say, 'Hey, it's gonna be okay.' And there's been a lot of times, for me, when I've been able to speak into people's lives and say stuff… And I can't figure it out — I don't know what the hell matters — but, for some reason, me saying something to them, I can say the same thing that their parents say, and they listen more, or it has a much deeper effect. And for me to go out of my way to just let people know that they matter. I'm not that big that I can't stop and say, 'You know what? Take the time to love yourself today.' And I think that blows a lot of people's minds, especially in our business, because pop stars and rock stars act like that; metal people don't. Metal people are really loving and considerate. Now this is totally ruining my bad reputation right now. [Laughs]"
Mustaine said that part of the reason Megadeth fans feel such a connection to the band's music is the lack of separation between the musicians and the people who buy their records and attend their concerts: "It's definitely not an 'us versus them' thing. I think the commonality that we all go through… You know, people forget, just because I'm successful now, I lived in a car when I met David Ellefson, and I was on food stamps when I was a kid. So I've been through all this stuff. And when I see people go through hardship, and they think, 'You know what? You'll never know what I've been through.' Yeah, I do. I mean, I've had it to the point where I remember… I've talked to some of my friends… Where we lived, we had that powdered milk, which is freaking awful. So for me to be successful now, I really appreciate it and I don't wanna ever take that for granted. And that's why I wanna go out of my way to help younger bands and be available for our fans, 'cause they made it possible for us to live like this right now."